Party season: a phrase that fills girls who hate sparkly dresses and heels with dread. I for one would much rather just sling on my best jeans, a cashmere sweater and a slick of eyeliner when I’m off to a mulled wine gathering. 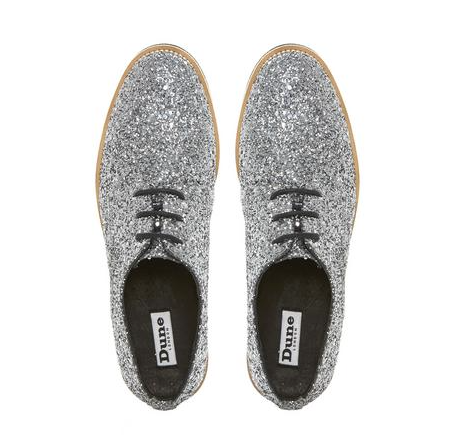 But, as you know, I am partial to a snazzy pair of shoes, so will sanction the use of metallics and glitter when it’s confined to a place you wouldn’t expect to see it, like a masculine pair of shoes. 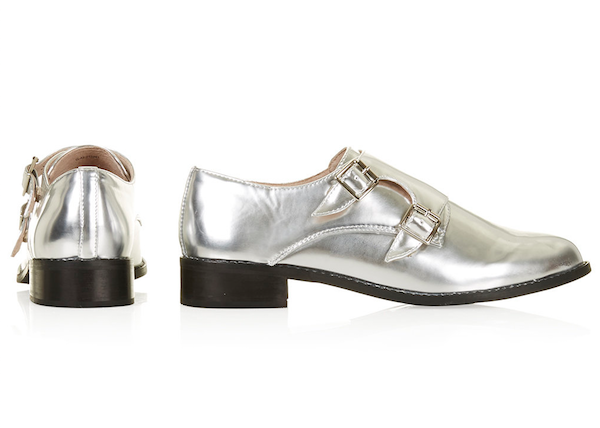 This Christmas I’m motioning for tomboys everywhere to buck the dress code and invest in a pair of amazing silver masculine shoes to wear with whatever the hell you like. 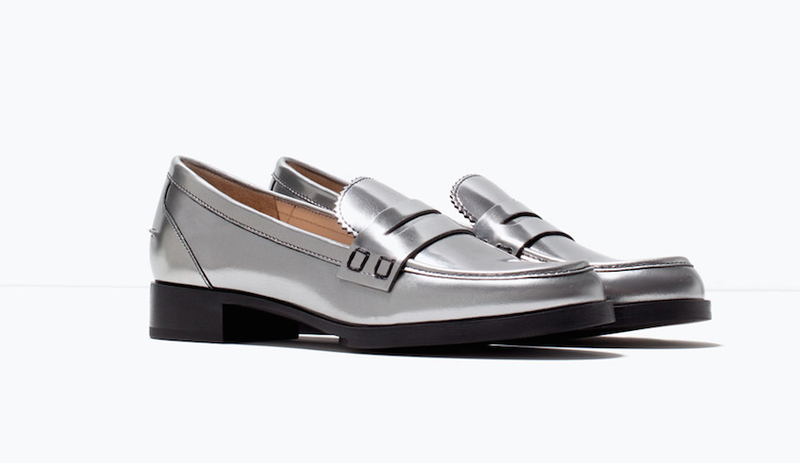 Because when your feet are this well dressed, no-one cares what the rest of your outfit looks like. 2. 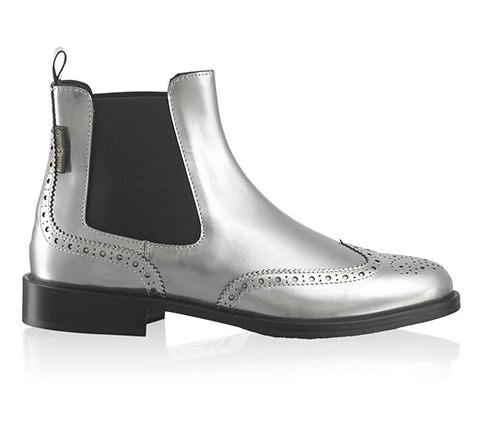 Topshop Fleetwood monks £32, topshop.com (BUY ME HERE!) Looking for a frivolous panic buy for the office party? You can’t argue with this price. 4. 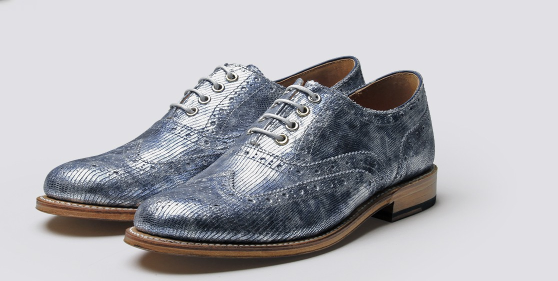 Grenson Rose Oxfords, £205, grenson.co.uk (BUY ME HERE!) You deserve a Christmas treat! 6. Dune Leni lace-ups £60, dunelondon.com (BUY ME HERE!) Nothing says Christmas like a bit of sparkle – just don’t feel obliged to wear it head-to-toe! 7. 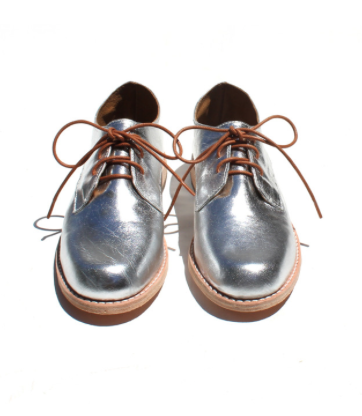 Marssi Derby shoes $395, marssi.com.au (BUY ME HERE!) Australian readers – these are SO NICE! This Aussie brand ships worldwide, too. I’d love to see what party shoes you’re wearing this festive season – don’t forget to tweet me pictures of your feet to @EnBrogue. sooooo pretty! 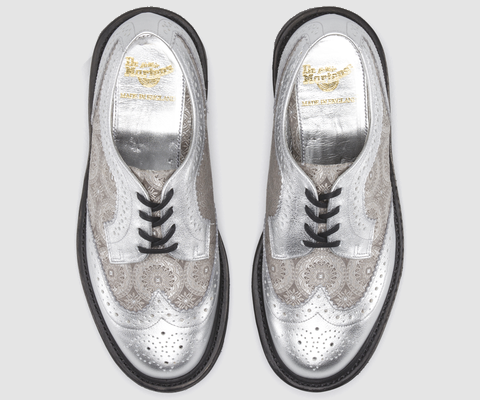 And I just bought those Docs/Irenes last week–they’re even more gorgeous in person! 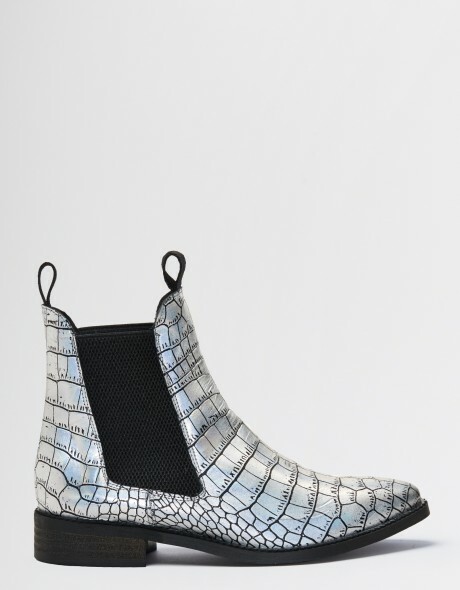 For any of your North American readers, they’re on serious sale for $75 USD ON THE Nordstrom’s Rack site!